A selection of power supplies to suit a variety of electronic devices. The available voltages include 3V, 4.5V, 5V, 6V, 9V, 12V or 15V to provide comprehensive compatibility with a large range of electronic appliances. Every power supply that we stock complies with all Australian safety and electrical approval standards. This compliance guarantees a high quality product, which more importantly provides assurance of safe operation. Not sure which power supply to select? Our How to Select the Correct Power Supply page can guide you in the right direction. 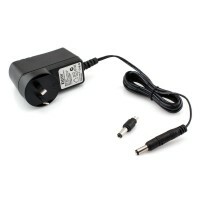 This Power Supply Adapter is suitable for a range of electronic devices. This high quality unit supplies 5V DC (Direct Current) and 1A output. Features a 3.5mm x 1.35mm tip. Complies with Australian standards and is suitable for use with any regular mains power point. This high quality 5V DC Power Supply Adapter provides up to 1 amp of current. This unit features 5.5mm x 2.1mm plug tip. This power supply is suitable for use with any Australian mains power point and is certified to comply with all relevant Australian standards. 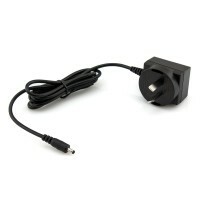 This 5V DC 2A Power Supply Adapter is compatible with a wide variety of electronic equipment. This unit features a plug tip with dimensions of 3.5mm x 1.35mm. Certified to comply with Australian standards and is suitable for use with any standard mains power point. This unit supplies 5V (volts) DC 2A (amps) output and is suitable for use with a range of electrical devices. This high quality unit features a 5.5mm x 2.1mm plug tip. Complies with Australian standards and is suitable for use with any regular mains power point. This USB Power Supply Adapter is suitable for a range of devices including mobile phones and various other electronic products. Allows USB powered devices to plug into a regular mains power point. Supplies 5 volts of power and up to 2 amps of current. This USB Power Supply Adapter is suitable for a range of devices including mobile phones and various other electronic products. Allows USB powered devices to plug into a regular mains power point. Supplies 5 volts of power and up to 2.4 amps of current. This unit features a switchable voltage selector (3V, 4.5V, 5V, 6V, 9V or 12V) to suit a variety of electronic devices. The interchangeable plug tip also provides greater compatibility (5.5mm x 2.1mm and 5.5mm x 2.5mm tips included). Australian standards compliant. This Australian compliant unit supplies 5V DC 1A output and is suitable for use with a range of electrical devices. 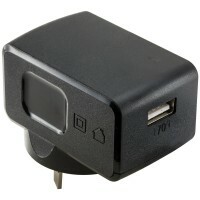 This power supply features a 3.5mm x 1.35mm interchangeable plug tip. Select from a range of plug tips to suit a variety of devices. This Australian compliant unit supplies 9V DC 0.5A (500mA) output and is suitable for use with a range of electrical devices. This power supply features a 5.5mm x 2.1mm interchangeable plug tip. Select from a range of plug tips to suit a variety of devices. This unit supplies 9V DC 1.7A output and is suitable for use with a range of electrical devices. The interchangeable plug tip also provides greater compatibility (5.5mm x 2.1mm and 5.5mm x 2.5mm tips included). Australian standards compliant. This unit supplies 12V DC 0.5A (500mA) output and is suitable for use with a range of electrical devices. The interchangeable plug tip also provides greater compatibility (5.5mm x 2.1mm and 5.5mm x 2.5mm tips included). Australian standards compliant. This Australian compliant unit supplies 12V DC 1A output and is suitable for use with a range of electrical devices. 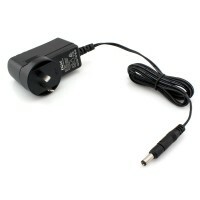 This power supply features a 5.5mm x 2.1mm interchangeable plug tip. Select from a range of plug tips to suit a variety of devices. This unit supplies 12V DC 1.5A output and is suitable for use with a range of electrical devices. The interchangeable plug tip also provides greater compatibility (5.5mm x 2.1mm and 5.5mm x 2.5mm tips included). Australian standards compliant. This Australian compliant unit supplies 12V DC 5A (5000mA) output and is suitable for use with a range of electrical devices. 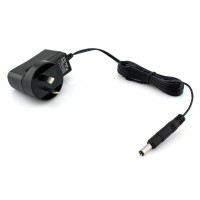 This power supply features a 5.5mm x 2.1mm interchangeable plug tip. Select from a range of plug tips to suit a variety of devices. This Australian compliant unit supplies 15V DC 1.6A output and is suitable for use with a range of electrical devices. This power supply features a 5.5mm x 2.1mm interchangeable plug tip. Select from a range of plug tips to suit a variety of devices.